The main feature for 2019 shall be tribute to the great Jim Clark who competed only once at Bo’ness in 1959. At that meeting he entered three cars, a Porsche 356, a Lotus Elite in which he had competed in at the Le Mans 24-hour race only weeks previously and the Border Reivers Lister-Jaguar in which he set the fastest time of the day. To celebrate the occasion the search is on for as many of the types of cars which he drove during his career, ranging from Goggomobils to Sunbeam Talbots and all types of Lotus cars from Elans and Cortinas to single seaters. 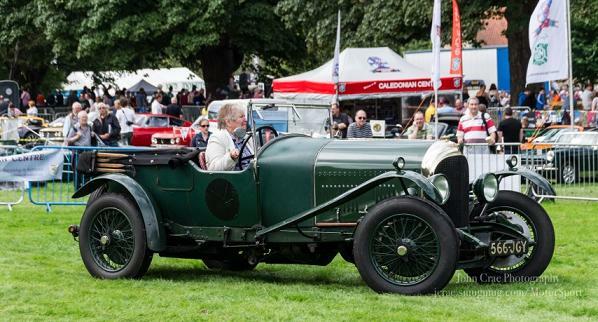 The plan is to have a specific Jim Clark class in the Revival Hillclimb and static displays in the Revival Classic Showfield. The Saturday Revival Classic Road Tour shall also follow the Jim Clark theme with three possible Jim Clark related destinations currently under consideration. The Bo'ness Hill Climb Revival Club was founded to bring speed hill climbing back to Bo'ness and the first event was held on August 9/10, 2008. This has proved to be a very welcome addition to the portfolio of Historic Motorsport in Scotland, and does not compete in any way with established clubs, organisers, venues and championships.